All of this began with a desire to eat real, wholesome, organic, non GMO foods. The more we shopped around & the more we learned about our food system the more alarmed we became. Like most folks the first step (aside from growing our own) was getting chickens. From there things sort of took off. We always wanted our own land. We spent six years traveling around trying to find something we could both afford & use. Most properties either had houses that were crumbling or lovely homes with useless land up the side of a cliff. Eventually we found our home in West Virginia. This is our first home & it is a dream come true! For the six years we spent searching for this place we continued naturally growing our own food without the use of chemicals (our birds are our bug control & to an extent our weed control as well) or fertilizers (other than the lovely poop from our own organically raised critters) & sourcing only certified organic seeds. We also learned about culturing our own foods. At first it was a struggle to find organic livestock feeds. With hours spent searching online, we eventually found an certified organic supplier﻿﻿ in Virginia. 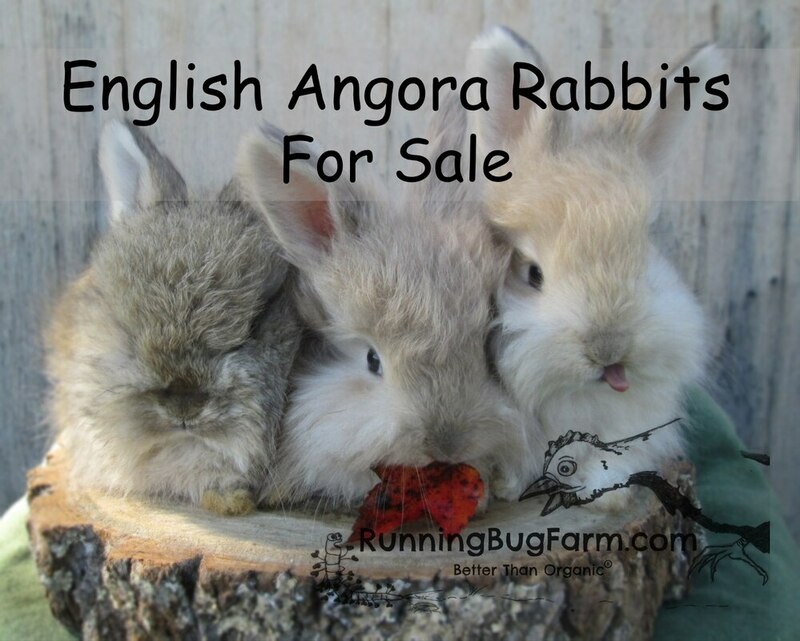 We currently raise a variety of birds, English angora rabbits, & have a Jersey cow. We also have several house cats, & even more barn cats (one can never have too many cats). We never use chemicals. We are earth friendly, eco friendly, & animal friendly. Many of our amazing animals are selected according to their status on the Livestock Conservancy list (see resources). We often choose endangered breeds & raise them. When you support us, you are directly helping us keep these amazing domestic livestock animals from becoming extinct. Our products exceed the weak USDA Organic standards. 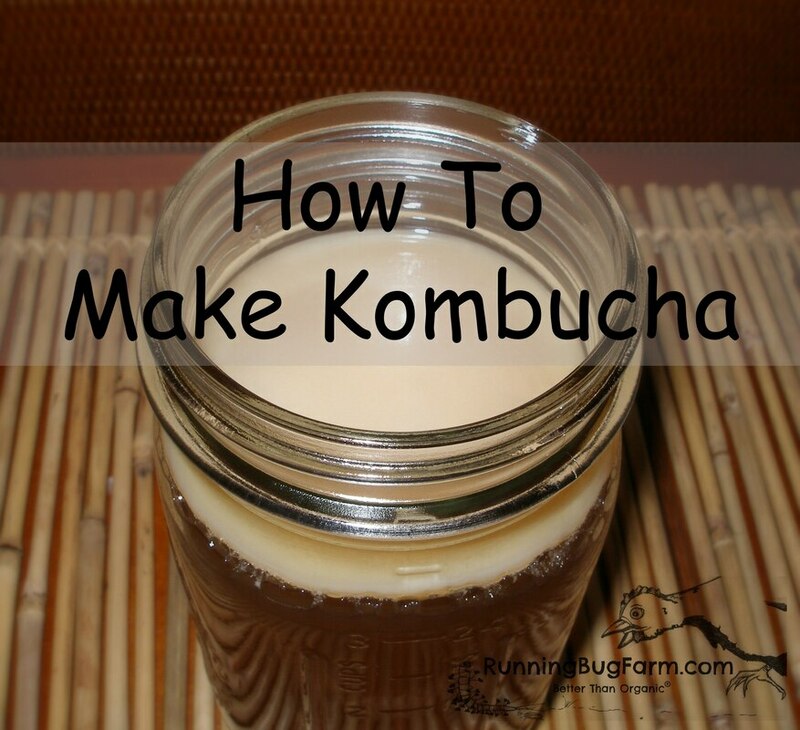 Did you know that something can have the organic seal yet contain chemicals? Giant companies are always pushing for weaker organic standards. The USDA allows hundreds of non-organic additives in certified organic foods! FYI, organic is Non GMO. GMO's are not allowed in certified organic. This is one of many reasons why we only buy organic. Organic also insures we are not consuming crops grown with sewage sludge, irradiation, fracking waste water, genetic modification, synthetic chemicals, synthetic fertilizers, growth hormones, & more. Unfortunately when you buy a product who's only claim is that it is Non GMO, it can still contain glyphosate & the above mentioned chemicals. Glyphosate also known as Round Up Ready is used in Non GMO crops as a desiccant to help dry out crops such as wheat & other grains. Monsanto encourages it's use. When used as a desiccant, glyphosate is not washed off. If you want to avoid a toxic life, go organic. Not only is it better for your family & pets, it is also better for the environment & the workers. Nothing speaks louder to a business than how you chose to spend your money. If you buy it, you support it. We currently offer humane feathers, cruelty free English angora rabbit wool, heirloom non GMO cotton & seeds (we are proud to be the first business in WV to sign the Safe Seed Pledge), natural pet treats, fresh chemical free produce, & beautiful English angora rabbits. 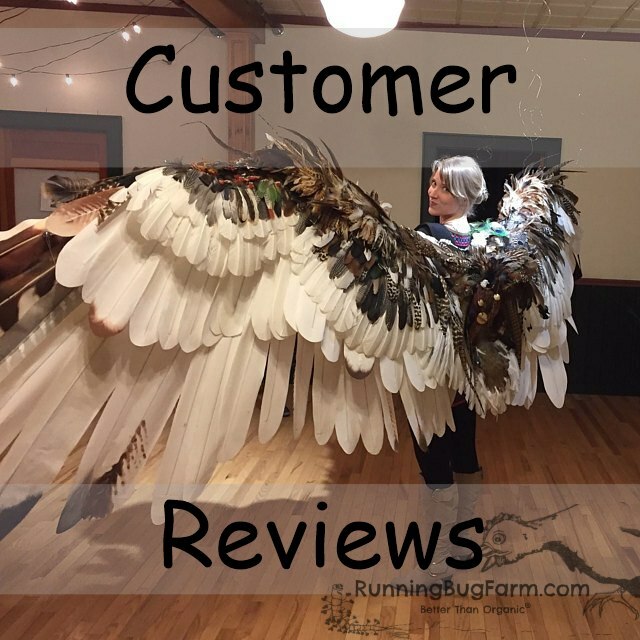 All of our feathers are from humanely raised birds who live outside 365 days a year free ranging on pond & pasture the way Mother Nature intended, able to engage in natural behaviors. Our birds are raised holistically & humanely for their entire lives. When they are not eating bugs, grass & other tidbits they find while foraging they enjoy certified organic feed that we special order. None of our feathers are plucked from live birds. Our birds feathers are cruelty free, naturally molted, etc. They never live in cages, have their beaks clipped or any other barbaric conventional treatments. We've been raising a wide variety of birds for many years & have acquired a lot of feathers as a result. Our angora rabbit wool is from bunnies who are raised outdoors & enjoy our lush pastures in the spring & early summer. They are fed all natural herbs & veggies that we grow without the use of chemicals, synthetics, or any other unnatural toxic methods. They all have toys to play with & ample amounts of hay from our own chemical free pastures. 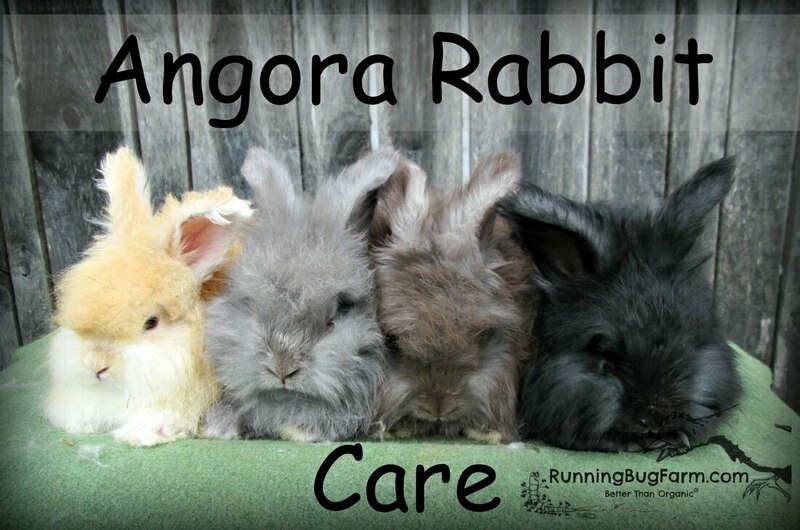 We do not deny our angora bunnies the joys of life in order to make maintaining their coats easier on us. Our primary goal is for the mental & physical health of the bunny. Besides hay, veggies, herbs & apple wood our bunnies are fed organic feed that we special order. We discovered that some people are confused about how we get the wool from our bunnies. We want to make it very clear that we do not kill our bunnies for their fiber, nor do we do them any harm! We currently have one lovable Jersey cow named Star. She is 100% pasture raised on our own chemical free pastures. We have never given her grain. We raised her from two weeks of age by bottle feeding her her mothers milk - no formula. We often call her our big puppy dog. We grow a variety of chemical free fruit trees, berries, heirloom vegetables, flowers, herbs, & heirloom cotton. Our seeds are from plants we started from certified organic non GMO seed. We do not re-sell seeds, you get seed that we save from our own plants. We are proud to be the first business in West Virginia to sign the Safe Seed Pledge. We never use chemicals of any kind, not even the organic approved types. We believe in working with Mother Nature not against her. Please support your local eco-farmers. Without our farms, we are nothing! Love farm animals & sustainable farming? Then become a fan! We thank you for stopping by & for supporting our Eco-Farm, we couldn't do what we do without you. Spending time in nature, and limiting screen time (time spent on your phone, computer, etc.) can increase feelings of well-being and happiness.